THE K1.4 billion allocation for the health sector in the 2014 national budget is focused on the upgrade and redevelopment of health facilities. It is an increase of K373.8 million from the 2013 allocation. The allocation includes K335.8 million in donor grants and loans. The Department of Health will receive K666.4 million while the Hospital Management Services programme receives K516.2 million. K8 million for the design of two new hospitals in Central and Hela. “K114 million is provided for the provincial and district hospitals in Boram (Wewak), Daru, Kerema, Kundiawa, Manus, Mendi, Modilon (Madang), Mt Hagen, Nonga (Rabaul), Popondetta and Vanimo. Polye said the Government had provided K20 million for the fee-free primary health care policy. When the policy was implemented, people would receive primary medical assistance from any public health facility without paying fees. MORE professional training is needed for cardiac surgeons and other health workers to raise the health standards in PNG. With an aim to train and share their medical knowledge and skills, a team from the National Heart Centre, or SingHealth, are at Port Moresby General Hospital to carry out heart operations. Cardiologist Dr Leslie Bahn Kawa said funding and man power were some of the challenges that hospitals and the Department of Health are facing. “The need for training local doctors and health practitioners is the way forward to building manpower capacity so we can treat our patients better. “The hospital has planned to send some of the doctors and health specialists to undergo training overseas so that we can carry out heart operations on our own,” he said. SingHealth group’s senior director program development Alice Pang said providing professional cardiac training was a great opportunity for the local doctors to gain more skills and experience to carry out heart operations in the country. “Currently, six patients with heart defects will be undergoing heart operations that will be conducted by the team from Operation Open Heart,” she said. Ms Pang said the team has been here for the last eight years but this is the first time they have helped local doctors carry out heart operations. She said a couple of PNG surgeons have undergone training in Singapore and have come to give back to their patients and apply their skills gained. 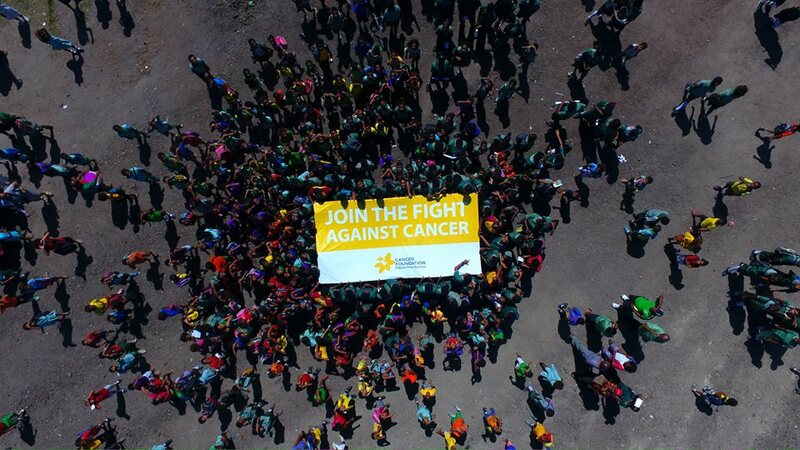 THERE is hope in the fight against cancer in Papua New Guinea, a group of experts said yesterday. The group from the International Atomic Energy Agency (IAEA) is in the country at the request of the Department of Health. In a meeting yesterday in Port Moresby, discussions were held over ways the team could help fight against all forms of cancer in the country. Speaking on behalf of the Health Department Dr Goa Tau, the executive manager-medical standard, thanked the group for accepting a request made by the Health Secretary Pascoe Kase last year. “There is hope against the fight of different forms of cancer silently killing thousands of citizens annually,” Goa said. The IAEA, through its programme of action for cancer therapy (PACT), offered its member states, in PNG, a service called the imPACT (integrated mission of PACT) Review. The imPACT Review provides a comprehensive approach to conducting a needs assessment of a member’s cancer control infrastructure and capacity. It is the first step in the IAEA’s cancer strategy to assist member states to address the cancer burden based on a comprehensive and long term sustainable approach. Maria Villanueva, imPACT Mission coordinator, said considering the global implications of cancer and the need for improved control in the developing world, PACT worked to form global partnerships that could combine their expertise to provide the best possible support to member states afflicted by cancer. “The imPACT team will carry out a comprehensive assessment of the country’s cancer control capacity in the areas of cancer control planner, cancer information, prevention, early detection, diagnosis and treatment, palliative care, training and civil society activities,” Villanueva said. She said the team would carry out a capacity and needs assessment for effective planning, design and implementation of the country’s radiation medicine programme, as a component of a comprehensive national cancer control programme. The team consists of seven experts who are specialists. EMERGENCY treatment for the critically ill or injured is now possible with the Health Ministry planning to deliver better equipped ambulances. The deal has been made possible through the Korea-Papua Trading Co and Kia Motors of Korea. Kotna Rural Hospital in the Dei electorate, Western Highlands, was the first to take delivery of one of these ambulances which are apparently Korean army issue and used for field operations in the military. The sturdy vehicles come fully kitted with medical equipment and beds. Popondetta Hospital took delivery of one of the ambulances and two will be delivered to Port Moresby General Hospital and Angau in Lae. STAFF morale at the Port Moresby General Hospital is low after Prime Minister Peter O’Neill announced that the hospital would be privatised. A stop-work meeting is planned for today to discuss the planned privatisation under which staff, including nurses and doctors, would lose their public service jobs and be rehired under a private structure. O’Neill (pictured left) last month revealed that the hospital would be reestablished under a statutory authority by next year. Staff, however, said they were totally unaware and would pull out all stops to prevent Health Minister Michael Malabag (pictured right) from introducing a bill to effect this in the current session of parliament. “If we meet with our members and they say strike, we will go on strike and ask the (health) minister and secretary to come and explain,” a senior health workers’ representative said. “We were shocked when he (O’Neill) made the announcement,” he said. “The most-important thing is service delivery for the rural people who come here. “This general hospital belongs to the country. “They have not said anything about how the University of Papua New Guinea will work with the hospital. Simon Merton, a naturalised citizen recuperating at the emergency ward yesterday after a mild heart attack, was stunned when told by nurses and doctors. “What’s this privatisation going to mean to the grassroots Papua New Guineans who depend on it for specialist medical services?” he asked. “What’s it going to mean to the Medical Faculty that uses it as a training hospital? “The rich people have already got their own private health care services. Can the minister and the board assure the people of PNG that basic health services are still going to be made available to the average Papua New Guinean in this privatisation exercise? Since O’Neill’s visit, all hospital security guards have been laid off, and replaced by a private security firm Black Swan. “They have replaced security guards and cooks,” the health workers’ representative said. Under O’Neill’s vision, all human resource management issues like recruitment of staff and budget allocation would be separate from the public service structure in which the Department of Personnel Management and the Department of Health are responsible. The prime minister made the announcement during his visit to the Port Moresby General Hospital with Malabag. He said as of next year, the hospital would be managed under a hospital authority that would manage its own budget and its own human resources, functions that would be removed from the departments of health and personnel management. INTERNATIONAL singer and humanitarian campaigner, Mampi helped launch the National AIDS Council’s red and white ribbon campaign in Port Moresby yesterday. Mampi, whose real name is Mirriam Mukape, hails from Lusaka, in Zambia. She gained international fame with her Walilowelela song. She is in the country for five days and is associated with humanitarian work. She will perform live at the Cosmopolitan Club at Vision City. NAC launched its campaign in the lead-up to World AIDS Day with the theme, “Stop gender-based violence, reduce HIV”. Mampi comes from a country that has a 17% prevalent rate of HIV/AIDS, which is about the same as Papua New Guinea’s. Mampi said leadership was the key to the fight against HIV/AIDS. “By leadership I mean you and me,” Mampi said. “Although we need a lot of advocating by parliamentarians, pastors and leaders in other areas, leadership should start with us. Mampi said there was a strong link between gender-based violence and HIV/AIDS. “Women are always victims of contracting the disease through violence from men. THE Diabetes Association of Papua New Guinea conducted free tests yesterday to mark World Diabetes Day. The free tests were conducted in Port Moresby by doctors and nurses from National Capital District health office and City Pharmacy. Association interim president Joan Timothy said diabetes was a lifestyle disease determined by what people eat. “Nowadays people who work go for fast foods,” Timothy said. “Fat and sugar stored cannot be burnt due to lack of exercise that leads to diabetes. 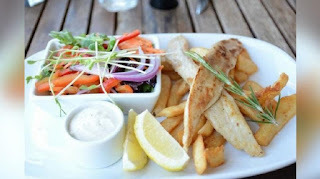 “Eat garden food because it has more fibre, less sugar and it will not make you fat. “Our dream is to take diabetes awareness to every part of the country. Out of the 143 people who turned up for diabetes tests, 11 were diagnosed with high blood pressure and referred to medical officers. Eight of those people had high sugar level. A walk to raise awareness on diabetes will take place tomorrow at Jack Pidik Park, 5-Mile. THE Health Department has sought help from experts to address cancer in Papua New Guinea due to the lack of experts and technical backup, a senior official says. George Otto, from the National Oncology Services, said the International Atomic Energy Agency (IAEA) was working with the World Health Organisation (WHO) to assess capacity in addressing cancer. “Gaps found in the country’s capacity will enable the IAEA to provide manpower assistance or financial assistance,” he said. Speaking at the impact cancer review meeting in Port Moresby yesterday, Maria Villanueva, the impact mission to PNG coordinator, said cancer was a disease that affected the young, the old, the rich and the poor. “Programme of action for cancer (PACT) was established by IAEA in 2004 to help fight cancer in the developing world,” she said. “The programme builds on IAEA’s long-standing experience in radiation medicine, but goes a step further. 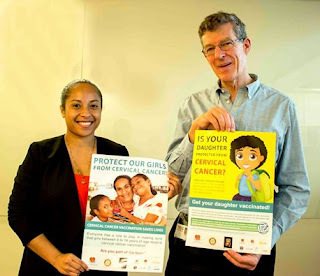 According to the presentation made by local doctors, oral or mouth cancer was the most common in PNG, followed by cervix cancer, breast cancer and blood cancer. Dr Rose Andrew, a dentist, said chewing betel nuts appeared to be the main cause of mouth cancer in PNG. “And PNG has the highest rate of mouth cancer compared with other countries and the Pacific Islands,” she said. However, PNG lacked proper records and statistics to back this up, she said. DEMAND for nurses in the country increases each year yet annual intake of students remains the same because there is no improvement to nursing colleges, Mendi School of Nursing principal Sr Lucy Langer says. Poor infrastructure and limited facilities are the major problems, she added. No new buildings have been built in the colleges to cater for the increasing demand for nurses. Langer said the Mendi school, which opened in 2011 after closure due to tribal fights, is slowly being rebuilt. She said the college was supposed to enrol only 30 students but enrolled 80 after students fronted the office forcefully. Langer said she could not turn them away as it was their right but the problem was limited facilities and poor infrastructure. However, the school managed somehow and those students were doing their final year now. Langer said due a tribal fighting, the college was closed in 2002 and should have reopened in 2010 but did not have enough equipment and material to operate til 2011. “Due to the influx of students, the college faced shortage of classrooms and had to break down one of the staff buildings and use it as a classroom,” she said. Langer said rural areas needed nurses but poor infrastructure was a barrier that made nurses reluctant to go and the government had a big job to improve the health facilities. MORE than seven million girls under 18 years old give birth every year, a United Nations report says. The State of World population 2013 report, released yesterday in Port Moresby by the United Nations Population Fund, says it is becoming a big problem, especially in developing countries. The report says out of the 7.3 million births, two million are from girls 14 years old or younger, who suffer the gravest long-term health and social consequences from pregnancy. “An estimated 70,000 adolescents in developing countries die each year from complications during pregnancy and childbirth,” it says. UNFPA executive director Dr Babatunde Osotimehin said too often society blames the girls for getting pregnant. “The reality is that adolescent pregnancy is most often not the result of a deliberate choice, rather the absence of choices and circumstances beyond a girl’s control,” Osotimehin said. The report stated that every year in developed countries, there are 680,000 births to adolescent mothers, with nearly half occurring in the United States. While the report concludes that adolescent pregnancy is a much bigger challenge in the developing world than in developed countries, it finds that it is still a significant issue in the latter. The Government has made available K300,000 as subsidised funding for patients in all specialist services provided by the hospital until all funds are exhausted. But the government would have to provide more funding for the policy to be sustainable. Under the free healthcare policy, all patients pay 50 per cent of their medical fees while the government pays the other half. However, the boards and managers of several hospitals around the country have raised concerns that they were experiencing problems with the new policy. The Kundiawa General Hospital board and management yesterday thanked the government for the policy and said it was the responsibility of the management and board to implement. But they pointed out that its implementation has created problems within the hospital as patients from across the region flooded in thus stretching staff to the limit. Mr Kaluwia also highlighted the problem that hospitals need to have medical supplies on hand for patient care and any delay in the government’s funding could be fatal. “We hope all our medical stores will be stocked up because we don’t want to send patients home or refer them elsewhere for treatment. He said public hospitals were expensive to run but there would be no problems for the people under the new policy if funding was sustained in a timely manner. Mr Kaluwia said many more lives had been saved under the new policy as all services in the rural health facilities were provided free to the local population. A new vaccine will be introduced for children as part of the national immunisation program to combat pneumonia. Pneumonia is a top killer of children under the age of five in PNG. The pneumococcal conjugate vaccine, or PCV-13, protects against pneumococcal disease which can cause pneumonia. Pneumococcus disease is an infection caused by bacteria commonly found in the nose and throat. These bacteria can spread to different parts of the body and cause a variety of diseases such as pneumonia or meningitis. Less severe but more common diseases occur when the disease spreads to the ears, sinuses or bronchii causing ear infections, sinusitis and bronchitis. The vaccine will be launched today (Tuesday) in Gaire village, Central Province by officials from the health department and stakeholders. The recommended schedule of vaccination is given at one, two and three months of age for all children in the country to protect them from disease. The Health Department and UNICEF state that each year one child in every 13 born in PNG dies before the age of five, a rate far greater than in any other country of the Pacific Region. Pneumonia is the most common cause of serious illness and death in children in PNG, accounting for 30-40 per cent of hospitalszations and deaths. The vaccine will reduce illnesses and deaths and increase the chances of survival for PNG children. The World Health Organisation estimates that in 2008 pneumonia accounted for 22 per cent of deaths and meningitis accounted for five per cent in under 5s in PNG. A WHO report states that hospitalisation and health facility costs for the 240,000 affected children who sought treatment in 2008 for pneumonia is a huge monetary burden to the family and to the government health service. These vaccines should alleviate some of the burden. FOUR years ago Janet Yaki, wife of former Ialibu-Pangia MP Roy Yaki, was close to death from cancer of the colon (large intestine). She was rushed to Taiwan and operated on. Yaki has now formed the PNG Stoma Association to help Papua New Guineans suffering from the excruciating agony of cancer of the colon as well as other colon diseases. A stoma is a mouthlike opening, particularly an incised opening that is kept open for drainage of waste. At a fundraising dinner on Sunday night, attended by many, including the visiting Taiwan Mobile Medical Mission, Yaki spoke passionately about her experience. A memorandum of understanding was signed for medical material donation between the Changhua Christian Hospital in Taiwan and the PNG Stoma Association. Information and Communications secretary Paulias Korni gave K5,000 while former politician Michael Nali pledged K3,000. “The wonderful Changhua Christian Hospital not only gave my life back, it motivated me to serve others in need as well,” Yaki said. “The aftercare provided by the Changhua Christian Hospital is among the best. “After a big operation lasting more than 13 hours, I was drifting away into another world but a lovely group of women visited me and got me going again. “These were women of the Stoma Association of Changhua. “They came and poured their love on me and encouraged me to move on. Yaki said a stoma patient was one of the least-known, likewise, colon cancer was one of the least-known cancers in PNG. “Like other forms of cancer, it is a killer disease but little attention is given to it by health service providers,” she said. “Perhaps part of the problem is due to lack of information on the extent of the disease, which is prevalent in PNG. Yaki can be contacted on 72537594 or email pngstoma.assn@gmail.com. A LEADING paediatric surgeon at the Port Moresby General Hospital says colon (large intestine) cancer is little known but a major killer in the country. Dr Okti Poki said this at a fundraising dinner for the Papua New Guinea Stoma Association hosted by its founder, colon cancer victim Janet Yaki. “It’s a widespread problem right across the country,” he said. Poki said colostomy bags to collect waste were necessary but an expensive necessity, not only for colon cancer sufferers, but those with other colon-related diseases and injuries. He commended Yaki and the association for providing colostomy bags to the hospital. “What Yaki does is she walks into my clinic at Port Moresby General Hospital when she gets colostomy bags,” Poki said. “Patients are supplied with stoma bags. “The parents are very happy, you can see their smiles. A MAJOR blood donation drive is underway to restock the blood banks in hospitals. The Port Moresby General Hospital and the National Blood Transfusion Services began a drive yesterday for business houses. It will end on the first week of December. Bank South Pacific, Australia and New Zealand Bank (ANZ), Air Niugini, Airlines PNG and Deloittes are the sponsors. The drive aims to collect 80 to 100 bags per day from the staff of companies. Hospital chief executive officer Grant Muddle said the hospital used about 40 to 50 bags of blood each day. It sends its mobile units to organisations to collect blood. “We always run short of blood because we don’t only supply the hospital but other clinics as well,” he said. Lynda Babao, wife of Prime Minister Peter O’Neill, launched the drive by donating blood yesterday. A STATE of emergency (SOE) needs to be declared on Wewak’s Boram Hospital due to rundown facilities and poor conditions, Yangoru-Saussia MP Richard Maru (pictured) says. Maru called on Health Minister Michael Malabag yesterday to ask for immediate improvements to the hospital. He said the hospital’s facilities were badly in need of urgent renovation and upgrading. Maru said he was satisfied that Prime Minister Peter O’Neill had full support for the development of a new referral hospital for East and West Sepik to be built in Wewak. “The Boram Hospital in Wewak should be immediately declared a state of emergency like Angau Hospital in Lae, Morobe, and funding of up to K10 million be provided for urgent work to improve the facilities and build its performance up to expectations while we work in a new referral hospital for the two Sepik provinces in Wewak,” Maru said. “I am pleased that under the leadership of Prime Minister Peter O’Neill, we will finally remove the tears of the Sepik people by undertaking immediate work at Boram Hospital to keep it while we build and deliver to the Sepik people a new, world-class, modern referral hospital,” he said. PATIENTS requiring intensive care at the Modilon General Hospital will be relieved that some life-saving machines are now ready for use. All they need is the services of an additional anaesthetic registrar to operate them. The hospital management confirmed this when asked about the closed Intensive Care Unit (ICU). Numerous complaints have been received about its closure. A source from the chief executive’s office said the hospital was gradually getting back the service after a prolonged closure due to defunct life-saving equipment. Biomedical technician Samuel Moka has been trying to fix the machines. “My priority was the ICU when I moved in. Ventilators, which are hooked to life support machines, patient monitors, infusion pumps, suction machines, defibrillators and ECG machines had been sitting idle over the years and they have now been fixed,” he said. Moka said K200,000 from the K1 million budget had been used to obtain the machines. The ICU ward will have three new ventilators from National Department of Health; four patient monitors – three new ones and one donated from Ramu NiCo – two new suction machines, two ECG machines and three new defibrillators. Moka has fixed the machines in Rai Coast, Bogia and Sumkar districts. NURSES are unhappy with the Heatlh Department for not sending a representative to the week-long symposium in Mendi, Southern Highlands. Papua New Guinea Nurses Association president Eimi Kaptigau said nurses were playing a crucial role and a representative should have been present. Kaptigau said pressures were being faced by the healthcare sector and the health system was denying personnel information on basic patient needs that were discussed during the symposium. “The important theme was ‘closing the gap’ where the government, health department, stakeholders and general public will work together,” she said. Kaptigau said the health sector experienced mounting pressures which they found difficult to address and after the symposium, they felt that there would be mutual understanding between organisations. She expressed concern about nurses leaving for mining and the private sector due to unattractive pay packages and poor working conditions. Housing was a major issue, she said. “Nurses should be performing their duties at health centres and aid posts which are currently under the care of community health workers. “They (nurses) are reluctant to go there because there are no houses for them to live in and poor infrastructure is another factor. While the nurses and the stakeholders were present, the national health department should have come to be with them to hear some of the heartfelt grievances from nurses from the rural areas,” she said. Kaptigau said arrangements would be made soon for a forum to be held in Port Moresby. NURSING is finally being recognised as a vital profession in this country through the amount of money it received at the 12th symposium in Mendi, Eimi Kaptigau says. While the symposium was hailed a success, the bonus came from donations, she said. Papua New Guinea Nurses Association president Kaptigau said she was proud of the way the symposium was staged, with the generous contributions coming from MPs. Kaptigau said many of the provinces in the Highlands and the Mamose region were linked by roads and setting the venue in one of the Highlands’ regions was highly important to keep travelling costs down. She said in 2005, she hosted the fourth nursing symposium in the nation’s capital and received K80,000 from the National AIDS Council. No other sponsors came forward. “Support from the MPs and other sponsors is highly appreciated as it has boosted the morale of the nurses in the country. We feel that we are important as we play a vital role in dealing with human lives,” Kaptigau said. Lepan Lucas Junior, a nurse from East New Britain, said despite negative perception of Southern Highlands, the symposium proved it was ideal for such events. Junior said people were friendly and nothing negative was experienced during their weeklong stay in the province and they had enjoyed the event. “For those of you who hear negative stories of Southern Highlands being a bad place to visit and live, it is not that. You have to go and see and prove it for yourselves,” he said. West New Britain will be the host next year. Prime Minister and MP for Ialibu-Pangia Peter O’Neill sponsored the symposium with K250,000, Southern Highlands Governor William Powi gave K100,000, Works and Implementation Minister and Imbonggu MP Francis Awesa K15,000 and Mendi-Munihu MP Dei Kewanu K30,000. 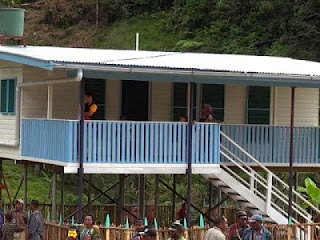 Cancer treatment in Papua New Guinea (PNG) is a major concern. In the past prior to the discovery of HIV and AIDS, cancer was considered a killer disease and more focus was on this disease by government agencies, NGOs and organizations. More funding, awareness campaigns and treatment measures were taken for this particular disease. However, today the focus has been shifted to cured HIV and AIDs and cancer remains the unnoticeable killer disease in PNG. THE Health Department is on a search to find alternatives to improve cancer treatment in the country, despite having scarce manpower in this specialty. Acting Health Secretary Dr Paison Dakulala has told reporters it had been now three weeks since enquiries and talks had been held with various people for the possibility of purchasing a new and modern technology to treat cancer. He said the cobalt machine at PNG’s only cancer treatment centre at Angau Hospital in Lae was an old one and was part of the cobalt machines that were used in 1960s and 1970s. 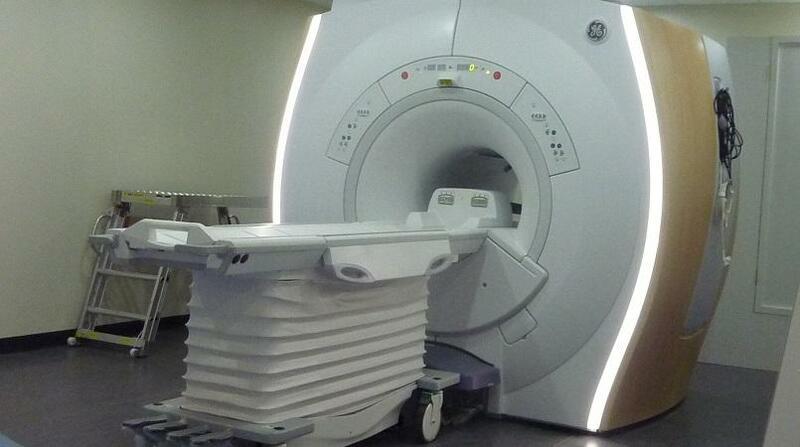 As a result, he said, it was a bit difficult to find people specialized in this machine, around. Dr Dakulala said Dr John Niblett who had worked at the cancer unit in the past year and was now working with the Health Department for the renewal of his contract was among a few that were around that could operate this machine. He said there were also plans in the pipeline to train radio oncologists, but these people would be like any other specialist doctors , would have to train and work for years before they would be qualified as oncologists. In the meantime, he said, the only way to beat cancer in this country is to make people aware of the need for them to go for early check up. For instance, for breast cancer, he said, there were mammograms in a couple of health facilities in Port Moresby, including the Port Moresby General Hospital where women can go for check-up. They can also do their own breast checks and report any abnormal signs or growths. There are also pap smear tests being conducted for cervical cancer at various provincial hospitals as well as at the Port Moresby general Hospital and a number of privately-run health facilities. Pacific International Hospital, a private-run hospital, is also giving vaccines to young girls to protect them against cervical cancer. Dr Dakulala said cancer diseases were caused by various factors, including environment and lifestyle. Among the common cancer, he said, was mouth cancer which he said was caused mostly from chewing betelnut and urged that people take care of their own health rather than always putting the blame on health problems on the government. The following types of cancers are common in PNG. Treatment plants are located in Lae and Port Moresby but they are unreliable and constantly break down. Papua New Guinea has one of the highest number of mouth and throat cancer cases in the Pacific region, Health Minister Michael Malabag said. “Betel nut chewing has association with cancer of the mouth,” he said. “Papua New Guinea has the highest incidence of mouth cancer in the world. The warning comes as Port Moresby prepares to totally ban betel nut sale and chewing from Friday. Malabag said men had the highest risk of developing mouth cancer. But women are quickly picking up on it because of the increase in the number of women chewing betel nuts and smoking. He warned that the health system did not have enough cancer treatment specialists and equipment. And practising suicidal habits such as betel nut chewing was avoidable. clinic are associated with betel nut chewing,” he said. “Environmental hygiene is equally important as unhygienic conditions can stimulate disease outbreaks such as malaria. Malabag said everyone can promote a healthy environment because PNG had adopted the healthy island concept. “People must be seen to be promoting healthy settings in their communities. “It is of good health and hygiene that, from this day on, we all should consider making the right choice – stop chewing betel nut,” Malabag said. Meanwhile, cancer cases in the country are soaring because of betel nut chewing by the people, a dentist says. Dr Matupi Apaio, the Oro-Maxillo-Facial clinic chief dentist, told a public health event last Friday that 98% of mouth cancer patients chewed buai. He said the health department was promoting healthy mouth and awareness of the risk of developing mouth cancer. He said betel nut chewing had become rampant and practised in all communities. In the past, he said betel nut use was restricted in villages to certain groups of people at traditional events only. “Children as young as five are chewing betel nut which has tremendously increased the chances of developing mouth cancer at an early age,” Matupi said. Matupi said the risk of cancer was greatly increased when combined with smoking and excessive use of alcohol. More than 140 patients were reported to the Oro-Maxillo-Facial clinic between 2010 and 2012. However, he said others treated at the Port Moresby General Hospital were not recorded and the number was growing rapidly. Matupi said 98% of mouth cancer patients were betel nut chewers. He told the people at the event that oral health was just as important as general health. “It comprises some of the very vital body structures that we use every day for speech, eating, digestion and good looks which contributes to the general health and our wellbeing,” Matupi said. Twelve two-bedroom units have been built at the Mendi General Hospital to ease staff housing problems. Twelves nurses will soon be housed in new fully kitted homes built from a partnership between the hospital and the National Nurses Association. The performance of nurses, has in some way, been affected by housing issues. One hospital has recognised this problem, and is taking steps to address it. Mendi Hospital has partnered with the Nursing Association to build houses for its staff. The National Nurses Association made K2 million available last year after a submission was put through by the CEO of the Hospital, Joseph Turian. The money is part of K15 million kept for the nurses in trust since 2005. The money was secured through the then Health Minister Peter Barter after two illegal strikes were staged by nurses within six months. Nurses have also benefited from three awards which saw an increase in their base salaries, all received through their Union, the Nurses Association. Ms Kaptigau says the safety and welfare of nurses are important, and it was important for nurses to live within the vicinity of the hospitals. She said her office received proposals from 3 hospital CEOs and also made K2 million funding available to those hospitals, but nothing has been done yet. The building contractor, a local firm, thanked the hospital for choosing them to build the building. He said most times government departments overlooked the potential of local contractors and hired contractors from outside. Cost for the architecture work was covered by the hospital. Ms Kaptigau was impressed with the progress so far, and promised to assist the hospital in future projects when funding is available. Nurses will pay low rentals to the association to support its ongoing work to build houses for nurses around the country.. TEAMS will be stationed at main urban clinics in Port Moresby to conduct free blood pressure and sugar level checks next week. This will be part of a week programme organised by the National Capital District Health Services (NCDHS) to mark World Diabetes Day on Nov 14. NCDHS director public health Dr Niko Wuatai appealed to the general public to observe the day and take ownership of such opportunities to check their blood pressure and sugar levels. “Diabetes is a big health problem in the country. As we are talking, there are people on treatment, therefore it is important to check your blood pressure and sugar levels,” he said. He said they had a team that would be visiting corporate entities like PNG Ports Corporation and PNG Power Ltd, who have requested checks for their employees. For the first time, a team of national health surveyors are on a tour around the country assessing the state of all general hospitals. They comprise of Chief Executive Officers from various general hospitals in the country, including Milne Bay and Vanimo. In 2 weeks’ time, the people, business houses, investors and the national government will be made aware of the current standards each hospital is at. There are currently 24 hospitals operating in the country. This includes privately owned hospitals. The issue on the country’s poor health facilities and manpower resulting in high maternal mortality rate amongst other alarming health rates has been high on the agenda in the recent past seeing donor countries stepping in to assist fix our problems. These are amongst some of the factors that the survey will foretell. In the past week, a team of Hospital Surveyors comprising CEO of Milne Bay Provincial Health Authority Mr Billy Naidi, Dr Vetuna – the Director for Medical Services at the Nonga Base Hospital), and Sister Monica Abraham Director Nursing, Kerema General Hospital began surveying the weeklong Goroka Hospital for the first ever survey. The National Department of Health or NDoH was represented by Peter Pindan, in charge of Health Facility accreditation and standards. The health facility accreditation endorsed by the NDoH aims to assess the quality and safety of services provided and in meeting key result areas in the national health plan. Goroka survey now completes all highlands provinces with Mendi and Kundiawa Hospitals being awarded five stars in their compliances to Health Care Standards. Vanimo General is the current leader in promoting health standards in PNG hospitals having gone through (3) surveys so far and is set to go for its fourth survey from November 18th to the 22nd this year. Team leader and CEO of the Vanimo General Hospital Elias Kapavore commended the Hospital management headed by Dr Francis Wandi and the EHPHA team for this important exercise. Mr. Kapavore said this survey hopes to bring tangible results to the population of Eastern highlands province in improving health outcomes. Vanimo General Hospital is undergoing tangible improvement both in the organization restructuring and infrastructures after embracing the hospital standards in the work environment. The results for Goroka survey will be made available with recommendations within the next two weeks. Mr. Kapavore encouraged all hospital boards and their management to comply with national health standards if PNG is to improve the quality of care for the people. GOILALA MP Daniel Mona has made an urgent appeal to Chirime health workers and teachers to return and rebuild their home with the support of their local MP and councillors. He said it was difficult recruiting workers in this remote area and appealed to local health workers and teachers to return home. Mr Mona highlighted the importance of service delivery in the Woitape Local Level Government and requested the education adviser to advise on the status of the Goilala schools before the school year ends. He also requested for a present plan on how to recruit new graduate teachers and current Goilala teachers to return home and teach in their own villages. Making a commitment to re-open three schools in the area early next year, Mr Mona said Goilala people had been denied education for so long because of petty politics between church agency school co-ordinators and government education co-ordinators. He called on the provincial education authorities and the catholic education office to re-open the schools immediately. He made it clear that a failure to re-open these schools would result in people being sacked, both in the provincial and district education offices. “The O’Neill-Dion Government has put forward funds for the schools to be operational; those held responsible for the blockages will be reprimanded,” the first term MP said. Mr Mona is requesting elementary teaching training be conducted between December and January and the schools to be re-opened in February 2014. TWELVE health care workers from across the Lihir Islands have completed a two-week integrated management of childhood illnesses (IMCI) training programme. The programme is designed to provide an insight into what and how to look for illness symptoms through a checklist. Understanding symptoms specific to children and recommended treatments are essential to ensure proper care can be provided at the community level, the health workers were told. The Lihir Islands community health programme (LICHP) in conjunction with the Lihir sub-district health office and the National Department of Health (NDoH) delivered the training. The IMCI training was founded on the NDoH 10-step checklist for sick children. This checklist is used as the standard for child health across Papua New Guinea. 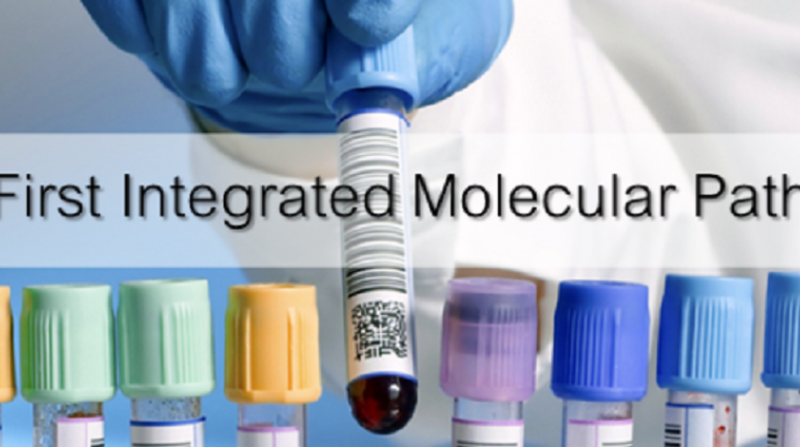 It is designed to support health care workers to diagnose and treat diseases like malaria, diarrhoea, pneumonia and measles. It assists with the identification and treatment of malnourished children. The training will be supported by a follow-up audit by the Health Department to ensure health workers are implementing the 10-step checklist across Lihir. A MEDICAL team from Taiwan is at Lae’s Angau Memorial Hospital to treat people with problems affecting their eye-sight and bones. The team includes two eye doctors, an optometrist, an administrator and US$15,000 (K39,087) from the Taiwan government for medical supplies and crystal lenses for the ophthalmology department. It comes with 300 pairs of spectacles for presbyopia patients, 20 pairs for cataract patients and medicine for the orthopaedic department. Taiwan Trade Mission representative Daniel Chun-pu Hu donated a tonne of rice to the hospital in response to a state of emergency called by Prime Minister Peter O’Neill recently. 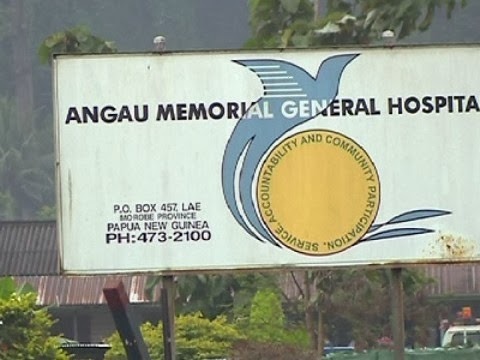 HEALTH Secretary Pascoe Kase says it may take up to two years before the much-publicised Australian assistance to the rundown Angau Memorial Hospital in Lae is implemented. And he said it would be partly funded by the PNG Government. He was responding to queries about the progress of work at Angau since Prime Minister Peter O’Neill signed the refugee resettlement deal with Australia. The problems at Angau were epitomised in September during the Black Cat Trail incident. Badly injured porters slept on the floors in the hospital wards. One eventually died from his injuries. K15 million be carried out. “It’s already in the Angau hospital trust account,” Kase said. “The money will be used to rehabilitate existing facilities, equipment and staff housing. He said the Government and Australia would contribute 50% each to the hospital. “That will probably take the next 12 to 18 months. “A feasibility study will be done,” Kase said. “That will be followed by the design of the new Angau hospital. MORE scholarships will be made available soon for the country’s young doctors and nurses who wish to purse masters degree in Taiwanese universities. Commerce, Trade and Industry Minister Richard Maru revealed this in a media conference yesterday in Port Moresby after he returned from Taiwan. Maru said there were many opportunities for young people to study in overseas universities and the government, through the health ministry, would be looking at sending more doctors and nurses to Taiwan for the masters programme. “There are more opportunities for our young graduates, especially doctors and nurses, to study in those universities,” he said. “Our doctors are becoming world leaders in medical science and with more training, they can come back and assist us. Maru said students from other Pacific Islands had been offered scholarships by the Taiwan government to study in one of the 100 universities that have opened up opportunities. THE Port Moresby General Hospital will be issuing access cards to patient guardians and visitors from next week. Chief executive Grant Muddle said for many years the hospital had been used as a holiday space for people who turned up as visitors and guardians. “The hospital facilities have been used and abused and this is causing great strain on the infrastructure, cleaning and infection control measures,” Muddle said. “The cards will be issued through the hospital admission department. “On admission, patients are issued with two passes, one guardian pass with 24 hours access and one visitor pass allowing access during visiting hours. “The pass will have an expiry date and will need to be renewed if the patient’s stay at the hospital is extended. “When the patient is discharged, both passes must be returned to the admission department and they will be destroyed. “Evidence has shown that patients require peace and quiet to recover but with too many people around the hospital, it becomes difficult,” Muddle said. Managing director of MRDC, Augustine Mano arrived in Moro on an Air Niugini charter flight with the company of member for Nipa Kutubu Jeffery Komal. Shortly after the arrival, a group of waiting vehicles convoyed, heading for Paua an hours’ drive from the township of Moro. A much larger crowd waited for the arrival of the visitors. Mr. Mano told those present that the funding for this project was sourced from landowner benefits in the Kutubu Oil project and not from the government. He further called on the people of Moran PDL5 to respect the law if they wanted to see more development. MRDC manages 30 per cent of landowner benefits under a trust fund to deliver projects. Mr. Mano said there is 80 million kina parked in the trust fund however there is so much infighting within registered landowner groups. Due to this ongoing problem, projects were not delivered to the affected areas that are supposed to be benefitting. Lae’s Angau Hospital will receive assistance from Taiwan’s Changhua Christian Hospital. The Hospital through its mobile medical mission is sending five personnel to Angau. Amongst them are two eye doctors. Their seven-day visit started yesterday. This is the ninth time for Changhua Mobile medical services to visit Angau. Taiwanese Ambassador, Daniel Chun-Hu says it’s all part of joint efforts that go in line with the government’s development priorities that includes health. Angau CEO Dr. Polapoi Chalau says he looks forward to working with the Taiwanese in the future. CITY Pharmacy and Colgate are jointly promoting dental care by conducting free dental checks in Port Moresby. The team conducted the first dental check last Friday at the City Pharmacy outlets in Boroko and Waigani. City Pharmacy category manager Maryanne Bueno said 47 people underwent the checks in the morning. “We will continue with free dental checks until the second week of December. “The idea is to help people care for their teeth,” she said. City Pharmacy nurse Jane Keteisin said some people who turned up had never used a toothbrush with tooth paste before. Colgate dentist Dr Newman Uloulo conducted a general dental check by asking patients the status of their teeth. Uloulo advised patients on the best way of brushing their teeth. PRIME Minister Peter O’Neill is expected to be in Mendi, Southern Highlands, today for the official opening of the Papua New Guinea Nursing Symposium. The symposium starts today and ends on Friday. More than 1,000 nurses arrived for the symposium and the Mendi General Hospital held an awareness programme. Benedict Laba, chairman of PNG national nurses research symposium, said the main purpose of the symposium was to close the gap between the health sector, stakeholders and the public so there would be cooperation. Laba, who is the branch president of Southern Highlands and Hela Nurses Association, said stakeholders in the province were invited to attend. “Our theme is: ‘Closing the gap from evidence to action, nurses strengthen public private partnership through healthcare delivery’. “No more isolation, we will work together,” Laba said. Mary Jude is a 13-year-old girl who lost both her parents to AIDS. Her father died when she was still not born. Her mother died in 2008, leaving Mary with her grandmother, the only relative who cares for the orphaned child. Sister Marilyn Babe is in charge of the Catholic Church HIV/AIDS program at the Kimbe Diocese. She says they conducted a HIV test on Mary in 2008 when she was seven years old and sadly found that she was HIV positive, having contracted the virus from her mother. Sister Babe says she occasionally sends for Mary Jude to check on her health as she lives in Bialla with her grandmother, adding she greatly admires the strength and courage displayed by the young child. She says Mary June comes to Kimbe quarterly to get her supply of ARV tablets and can be depended on to take those tablets without supervision. Their treatment program is that patients have to get their ART supply monthly, but Mary Jude is an exception because of her difficult situation. Mary Jude is an innocent victim of HIV AIDS. She is in elementary two at Ewase Elementary School in Bialla, West New Britain province. She lives at Area Eight where there’s no government elementary school. To pay for her school fees her grandmother taught her to plant various food crops such as cucumbers, beans and aibika. Together with her grandmother they harvest and sell the produce at the market. From the sales she buys lollies and sells at her school to pay her K80 school fee. She is reported to be doing well in her school work. Mary Jude said students at the elementary school she attends treat her well and she finds no discrimination among the students and the teachers. She is hopeful of going on to Bialla Primary School next year. Sr Babe says although only 13 years old and living with the virus, Mary acts as an adult and looks for ways to support herself, with the only help coming from her grandmother. Other relatives have not offered any assistance. Sr Babe gives ART tablets to her patients every month but Mary Jude gets hers quarterly for various reasons. First the distance is far and it’s costly for her to come in every month to get her supply. The other reason is that she can be trusted to take her tablets twice daily without supervision even though she is only a child. Now that it’s coming toward the end of the year, she is giving Mary a six months supply because of the bad weather around the Christmas and New Year periods. Sr Babe says Mary is a shining example to other children to be self reliant and to be determined to overcome obstacles in life. Meanwhile, Sister Babe says they have seen eight success stories so far in the treatment of infected mothers. She said these mothers, although HIV positive, did not pass on the virus to their babies. She said when those mothers tested positive they went on the ART treatment. After delivering, the babies were also put on treatment, allowing the mothers to breastfeed their babies for the first six months only. The eight children now aged between one and seven years have proved HIV negative after several tests. THE Papua New Guinea Medical Society predicts a massive health crisis is at our doorsteps with most hospitals and health centres to be forced to close in the next few years due to no staff available. This will be so if the government does not inject huge money and resources in health worker training. The society points out that bringing in Filipino nurses or Cuban doctors will not solve the problem. A letter to Post-Courier by the society’s president, Professor Nakapi Tefuarani, treasurer Professor Glen Mola and secretary Linda Tamsen, states serious implications that put the country’s health services in danger of closing. The society pointed out that there is a serious shortage of health workers of all cadres, and the average age of nurses, midwives and community health workers is 45-50 years. This means that most of our nurses and CHWs will retire in the next few years leaving our health services with no staff. A 2008 human resource forum and 2011 World Bank report on human resources in PNG health sector described the situation as a health manpower emergency. This year the government has brought former Health and Education Secretary and diplomat Sir Paul Songo back from retirement to assist in addressing this emergency. At the same time, the government has recommended that the school of medicine and health dciences at the University of PNG triple intakes so that the annual graduand numbers of doctors and other health support professionals are increased. “With all these reports and hype about the critical emergency of health worker manpower shortages, one would think that the government is putting extra money into health worker training. Not so,” the letter reads. In the 2013 budgetary allocation for CHW, training went down from an insufficient K3.383 million to K2.148 million, a drop of 37 per cent. In PNG, CHW training is carried out by 13 church agency institutions. The society point out that the government is demanding that the school of medicine and health sciences train more doctors and health professionals, but is only prepared to contribute 10 per cent of the operational funds required. For more than 20 years the school has been left scrounging and begging donor partners for the other 90 per cent of the operational funds necessary to do the job of training doctors and health professionals for the country. There is only sufficient money of 10 per cent of operational expenses to run the current medical school. There is the money to start up the government’s much talked about new medical school in the Highlands. The letter even states that fixing Port Moresby General Hospital does not ‘fix up’ the hospital. “We need more health workers to cope with the increasing numbers of patients that we have to cope with in our health facilities.